This elegant band ring has the Claddagh design inset into it and would also make a perfect wedding ring. 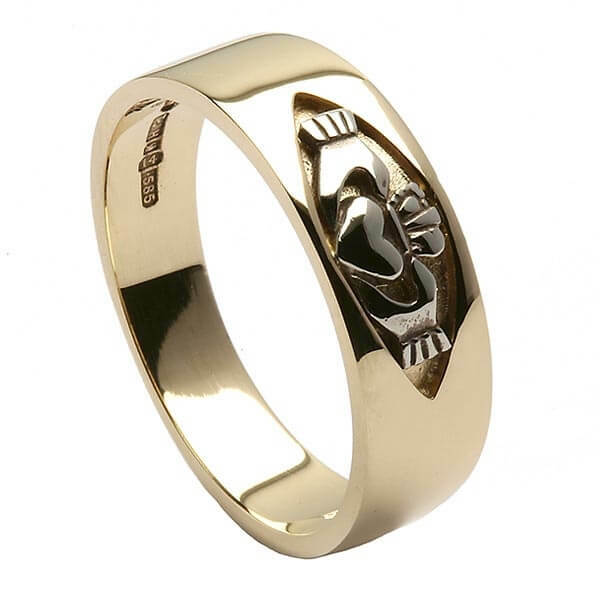 Available in sterling silver or 14k yellow gold, the brushed finish to the background of the design makes it even more attractive. 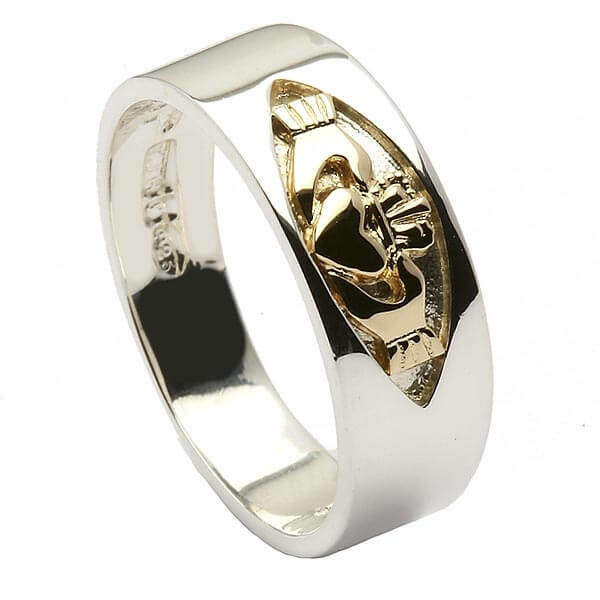 This ring would suit both women and men and is, of course hallmarked by the Dublin Assay Office, your sign of quality. Service rating : Fantastic service from beginning to end. The company kept me informed regularly. Order was processed very quickly. Arrived one weeks before I was expecting it. Packaging was well rapped and secure and came in a beautiful box. The Item was exceptionally well made and value for money. Will be using Celtic Rings Ltd again. Product : Quality was exceptional. 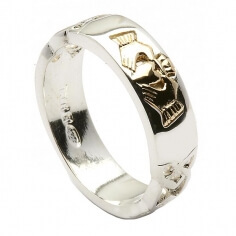 A beautiful Claddagh Band ring with gold inset. The ring was engraved on the inside, which just added to it's beauty. So happy with this product. Will recommend to my friends. Service rating : Excellent contact with Seller. Rings arrived very quickly. They look even better than on photos. I am very happy. I recommend Celtic Rings to everyone. Product : Beautiful rings, well crafted. Just fabulous for this special day. Product : Love the bands....get compliments all the time.